Our nearest galactic neighbour, the spiral Andromeda galaxy, seems to have a history of cannibalism. 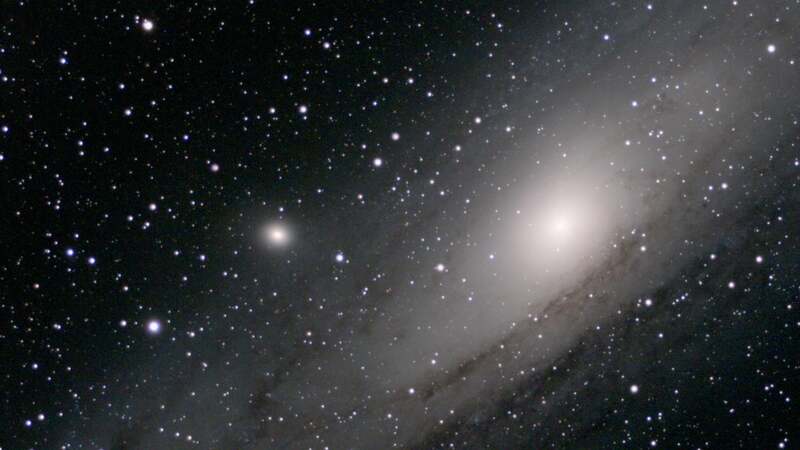 New research suggests that Andromeda gobbled up another large galaxy some two billion years ago. Galactic histories are rife with uncertainty and chaos — but how much chaos? New models of galactic formation demonstrate that Andromeda may have undergone one big merger with another galaxy, whose stars had a combined mass of around 25 billion times our own Sun. This hypothetical galaxy, whose remnants exist as Andromeda’s satellite galaxy M32, would have been the third largest galaxy in our Local Group of galaxies. The merger would explain several observations simultaneously, according to the paper published today in Nature Astronomy. Andromeda has a large, stretched stream of stars orbiting it, separate from its spiral arms, that is thought to have originated from some collision. It also has a satellite galaxy orbiting it, M32, whose stars contain an abundance of elements heavier than hydrogen or helium. Andromeda, too has a halo of stars with an excess of heavier elements. It also appears that a fifth of Andromeda’s stars formed two billion years ago, the paper reports. The researchers used these clues in computer simulations to model a galaxy like Andromeda, with a similar mass and composition of stars with heavier elements. The simulation pointed to a single collision with a large galaxy two billion years ago, in which Andromeda sucked up the galaxy’s stars. The scientists call this galaxy M32p, whose corpse remains as M32. This study is just a model, and though two billion years is relatively recent in astronomical time, we obviously weren’t there to observe the merger — so this is still just a best guess. “Although I find the evidence that they have collected in this paper very convincing, it would be worth having detailed simulations that try to follow up on this model to validate it,” Monica Valluri, University of Michigan astronomy professor, told Gizmodo in an email. So while we can’t time travel, astrophysical models like these can reveal some strange stories, and potentially truths, about our universe’s history.